Landscape photographer enthusiast based in Wiltshire. I love being outdoors and breathing in the fresh air of the countryside. If I come home with a half-decent image, then it’s an added bonus. 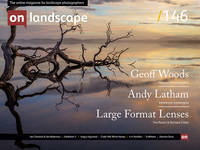 I was thrilled and honoured to be asked to contribute to the On Landscape ‘End Frame’ feature. I’ve not been active in photography for many months, largely due to work commitments. My full-time job (working for a US software firm) takes me all around the globe. I get to visit many wonderful places, but I rarely have enough downtime to warrant packing my DSLR. I also usually travel hand-baggage only, so that limits what I can take with me. In fact, my last ‘proper’ outing with my DSLR camera was was back in February, up in the Lake District. I was lucky enough to take part in a workshop with the highly talented Stewart Smith and the very well-known Mark Littlejohn (who's a regular contributor to On Landscape). I’d been a fan of Mark’s for a while, initially inspired by his ‘A Beginning and an End’ shot that won LPOTY in 2014. So, for me to get the chance to spend a few days with him, in his ‘native’ Lake District was a wonderfully rewarding experience (and I learned a hell of a lot, too). I also came away from that trip with a few keepers too, a bonus for sure. For the magazine feature itself, where I was asked to choose one of my favourite images by another photographer and write an article about said image, there was really only once standout choice for me. Despite having networked with so many excellent photographers through social media, over the last few years, this particular image stands out as a firm favourite.